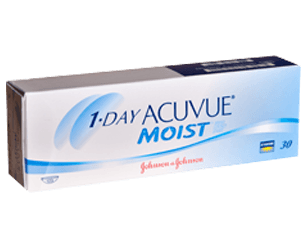 1 Day ACUVUE Moist for Astigmatism lenses offer the convenience of single-use lenses and correction for astigmatism at exceptional value. 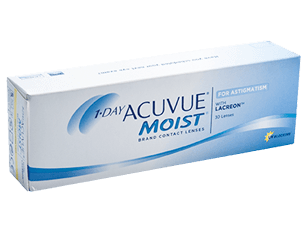 These lenses benefit from a UV filter to protect your eyes from the harmful rays of the sun and a handling tint to make them easier to see while putting them in and taking them out. They remain moist and comfortable throughout the day.